Upon ordering a Dedicated Server or VPS you will receive one IPv4 address and one /64 IPv6 subnet. As an example, this could be the IPv4 address 192.51.100.10 and the IPv6 subnet 2001:0db8:2a02:c200::/64. 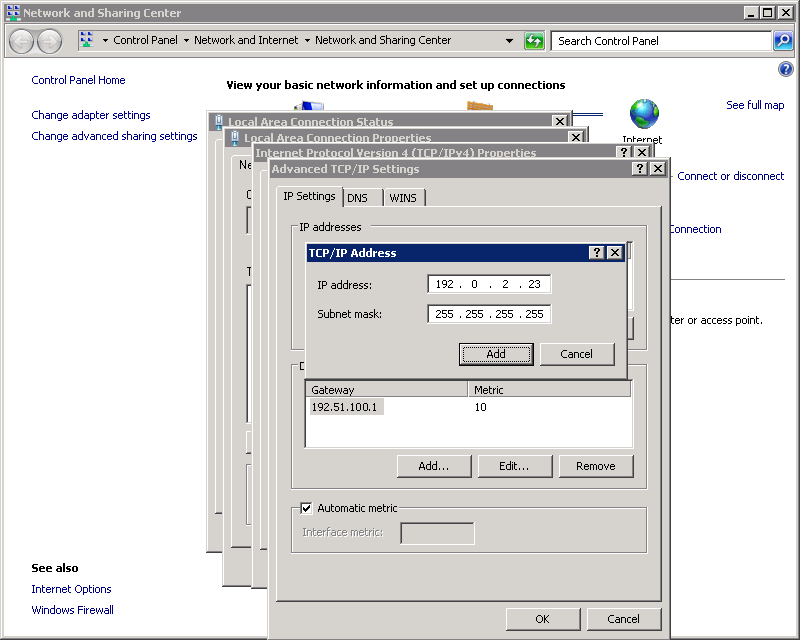 Your server comes pre-configured with this IPv4 (192.51.100.10) and one IPv6 address (2001:0db8:2a02:c200:0000:0000:0000:0001). Additional IPv4 addresses can be ordered by contacting us at [email protected] or through our homepage when placing an order for a new server. 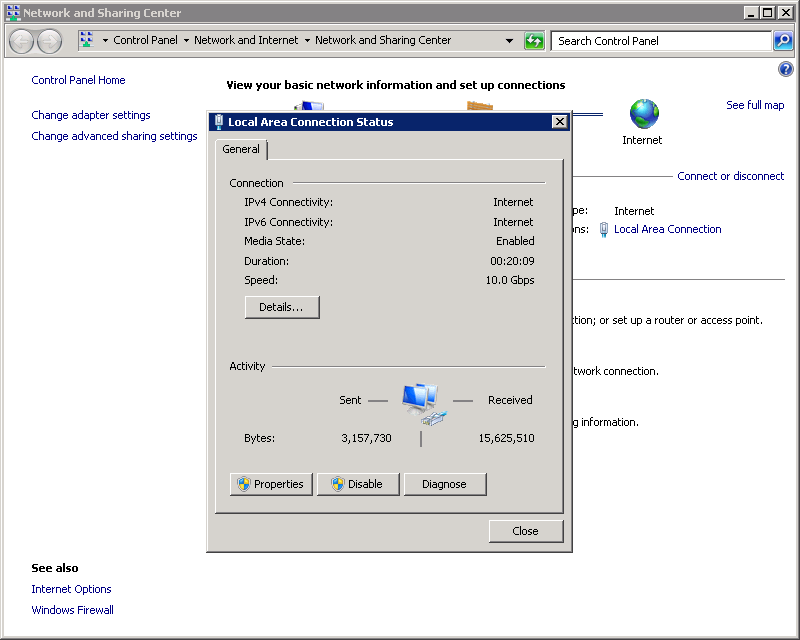 These additional IPv4 address will not be added to your system automatically but will have to be configured manually. 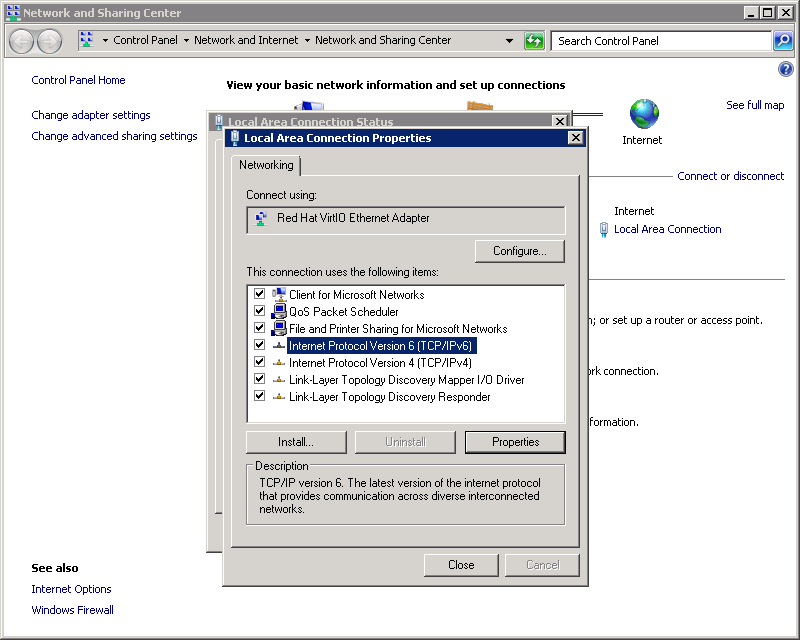 The following will give an overview on how to configure additional IP addresses on the most popular operating systems. The server used in these examples has the primary IPv4 address 192.51.100.10 and will receive the additional IPv4 addresses 192.51.100.42 and 192.0.2.23. As a general rule we recommend configuring these addresses with a netmask of 255.255.255.255 (/32) and /64 respectively and without adding a new gateway. CentOS has all its network interface configuration files stored in /etc/sysconfig/network-scripts/. 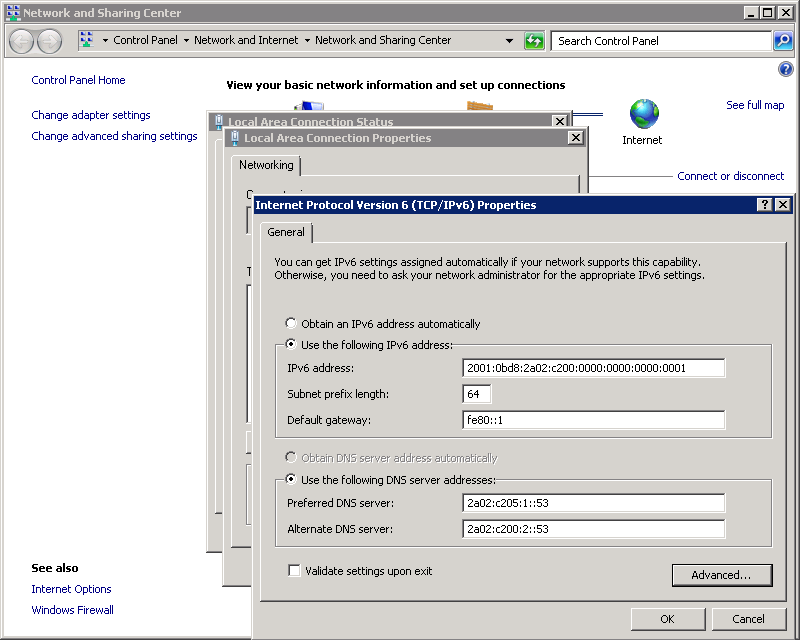 In order to configure additional IPv4 addresses, one virtual interface per additional IPv4 address has to be created. If the main interface is e.g. eth0, the virtual interfaces would be named eth0:0, eth0:1, eth0:2 and so on. Their configurations reside in individual configuration files named ifcfg-eth0:0, ifcfg-eth0:1, ifcfg-eth0:2receptively. The old method using virtual interfaces as employed in CentOS 6.x and described above will also still work. 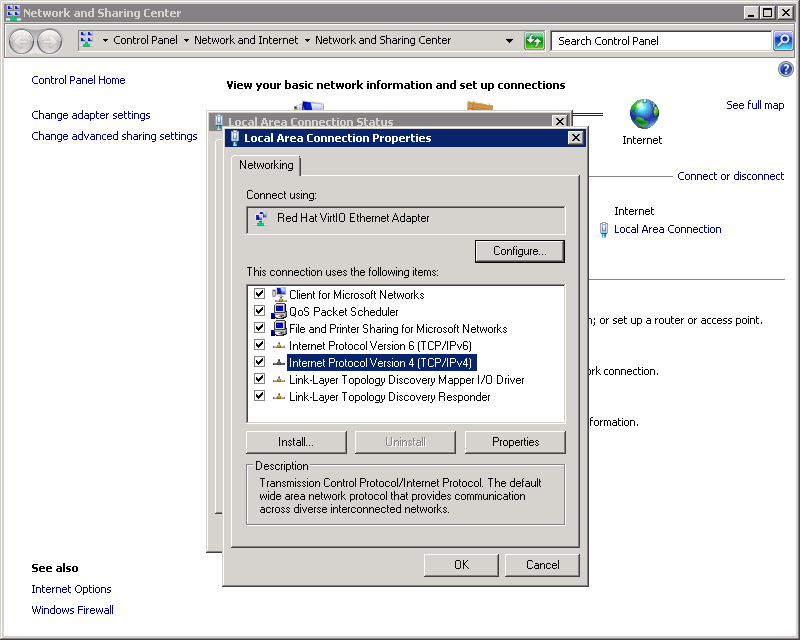 Open the “Network and Sharing Center” and click on “Local Area Connection”. 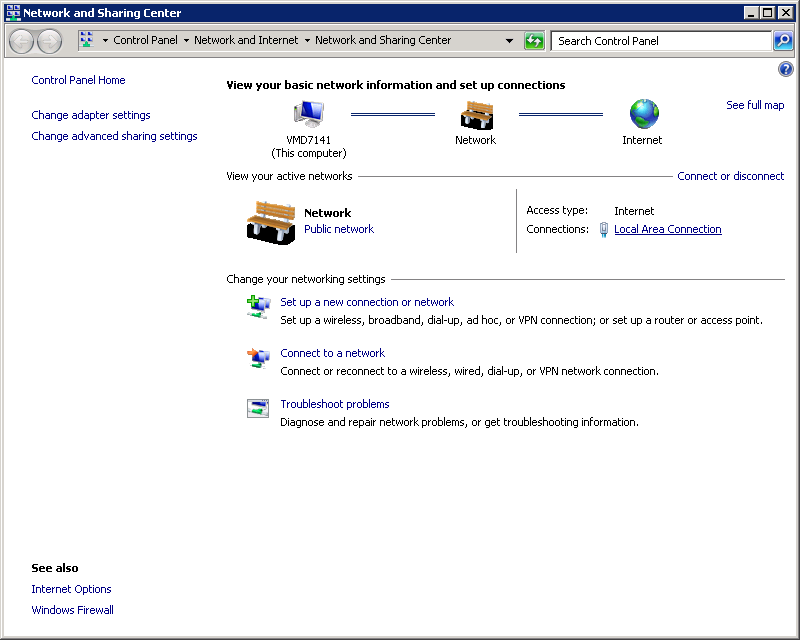 In Windows Server 2016: Open the “Network and Sharing Center” and click on “Ethernet”. In the newly opened windows, click on “Properties”. If you want to add an additional IPv4 address, select “Internet Protocol Version 4 (TCP/IPv4)” and click on “Properties”. 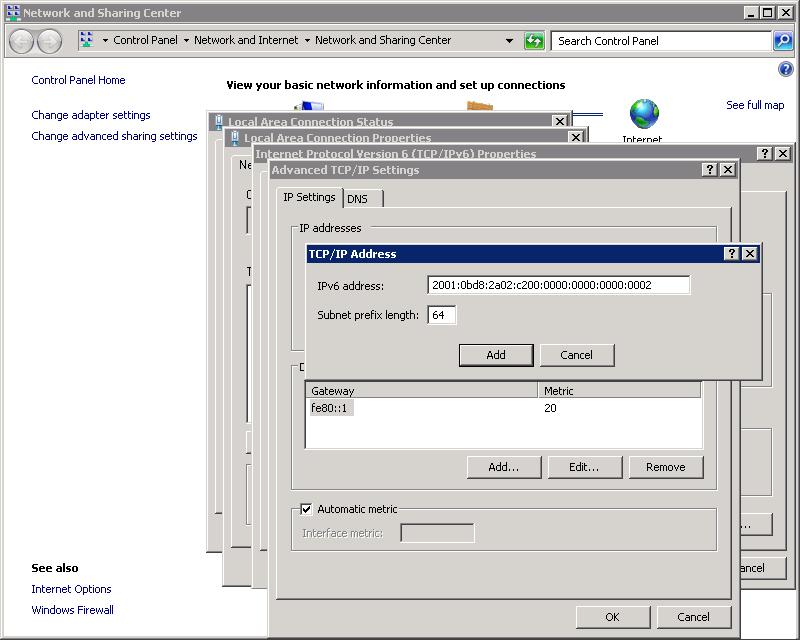 Enter the new IP address and its netmask into the dialog and then click “Add”. The new IP address is now active.